As stated above, there is no article on the web or in any manual that deals with this issue. I have also spoken with the President of the American Society of Cinematographers and he has no archive on this subject The article, which follows, deals mostly with the development of cinematography of major feature films in HOLLYWOOD. In the early days if cinema, there was generally only one cameraman who worked without an assistant, hand cranking the camera and very often developing and editing the footage. Probably the best known of these American pioneers was Billy Bitzer, who famously worked with D. W. Griffith on BIRTH OF A NATION (1915) and other films. Bitzer began work as a motion picture cameraman in 1896. Another well-known name was Roland Totheroh, Charles Chaplin’s personal cameraman. Images from both these artists still survive to this day! At that time, most films were 200 feet in length and silent at varying speeds mostly between 12 f.p.s. to 18 f.p.s or even outside of these numbers. There was no standard speed then for shooting or projection. Industry progressed the responsibilities of the cameraman were increasing. The advent of sound brought in a standard frame speed and cameras that needed to be silent. They often had to shoot “live” with multiple cameras because synchronizing the playback of a musical track to the camera had not been perfected and cameras had to be stationed inside soundproof boxes, which were naturally airless and stifling hot and known contrarily at the time as “ice¬boxes” because they resembled large refrigerators. This meant that the cameraman could no longer be the `sole’ cameraman. 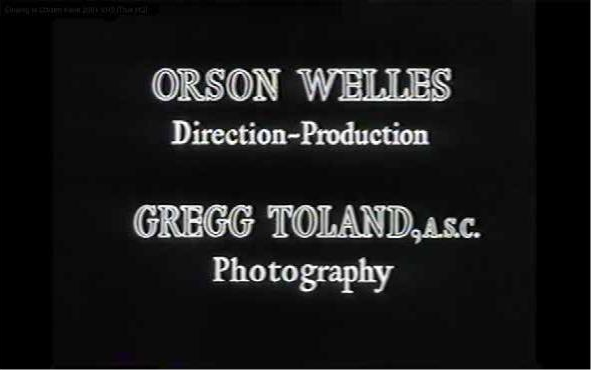 Now, he had to have several operators and it’s possible that the term “Director of Photography” grew from that but I have no confirmation of this and in fact some of the most famous musical films of those early years: BROADWAY MELODY (1929) – the first film to be credited as “all – singing, all talking, all-dancing” carried the credit “photographed by John Arnold”. 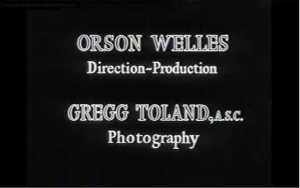 The first sound film with dialogue; as we know was the JAZZ SINGER (1927) although the dialogue was the result of an accidental ad -lib on the part of the star, Al Jolson, carried the credit: “photography Hal Mohr” using only one camera but the first appearance of the tam DIRECTOR OF PHOTOGRAPHY appears to be not until 9 years later. 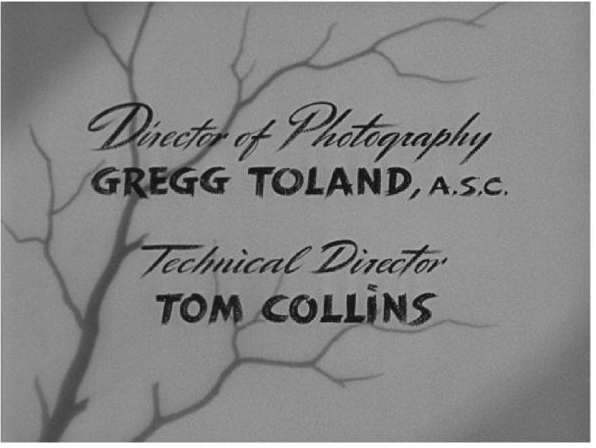 From that film onwards Valentine was always credited as “Director of Photography.” How this came about is not documented and I did not find any other instances before this movie nor amongst other contemporary films of that year. The next appearance of the tam for a different cameraman was not until the 1938 film ALGIERS for James Wong Howe ASC directed by John Cromwell and starring Charles Boyer, Sigrid Gurie, and Hedy Lamarr. Although his subsequent use of term was initially sporadic. 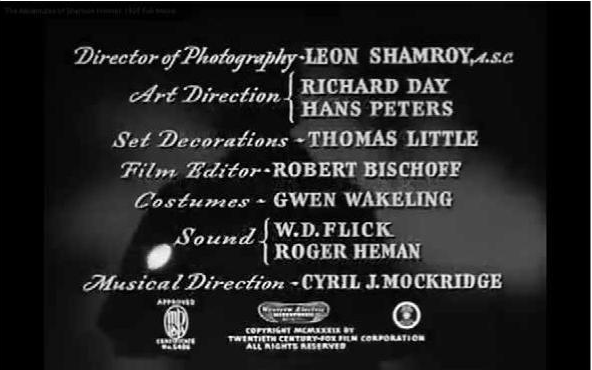 It is my contention and only mine that many of the cameramen of those times who were under contract to a major studio were not necessarily given a choice of credit because the studio controlled credits whereas today and possibly then, a cameraman who was freelance or not attached to one studio (Joseph Valentine and James Wong Howe for instance), might have been able state their preferred credit in their contract. 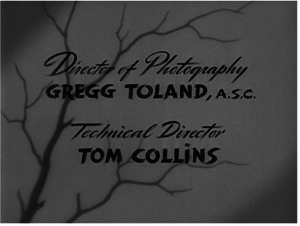 It could also be linked to membership of the American Society of Cinematographers, because you will notice that all the credits I have captured have the initials “A.S.C.” after the name, which was not common for studio pictures. The only way to solve this question would be to screen all the releases since 1927 – the advent of talking pictures – good luck! 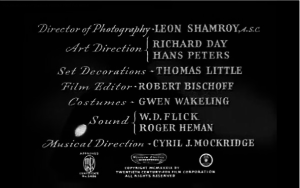 Nowadays it is almost ‘de rigeur’ that the cameraman on a mainstream feature film will be credited as “Director of Photography” and referred to as a “DP” or “DOP”. However, The legendary Vittorio Storaro once famously said that the reason he called himself “Cinematographer” and not “Director of Photography” was that he believed these was only one Director on a shoot! From a very young age his dad motivated him to work hard, never give up and to always finish the job at hand no matter what. Growing up in his mother’s art gallery had a big influence on his creativity and his appreciation for beautifully “framed” pictures. Feature films took his mind on an incredible journey and he could never get enough of this visual form of story telling. In 2003 he completed his bachelors degree in Audio Visual Production Management at the University of Johannesburg and started working as camera assistant to various award winning Cinematographers. Since 2005 Jo worked as a Camera Operator always evolving as an artist behind the camera. Over the years he has worked in various genres including Feature Films, Commercials, Documentaries, Music videos, Drama series, Reality TV shows and it has taken him to thirty-one countries. Jo has worked on fifteen seasons of the Emmy award winning Reality TV series Survivor – CBS and for other international broadcasters such asNational Geographic, Discovery Channel, History Channel, BBC, ITV, ABC and ESPN. Jo was fascinated by steadicam shots and he knew very early in his career that he wanted to become a steadicam operator. In 2008 he invested in his own steadicam equipment for Film and HD cameras. Jo’s love for cinematic images caused him to focus more on Steadicam and Camera operating on Commercials and Feature Films. Jo is passionate about Cinematography with an addiction for amazing motion pictures. Composition, lighting, dynamic steadicam shots and the challenges that filming may bring is what he lives for. Jo enjoys experimenting with different styles and interpreting the director’s vision is extremely important to him. We launched the SASC Instagram page today, and I am very excited with the positive response. I am sending this notification to remind all members to participate in this. Over 150 entries received for “Visible Spectrum Awards” to be Judged by prominent persons from the Industry, 12 Categories and well supported by our Patrons and awaiting official support. Judging for Visible Spectrum going well! SA Cinematographers rock @FilmFound support needed !!!!!! Attend Awards 21 November 2015 Book Now!